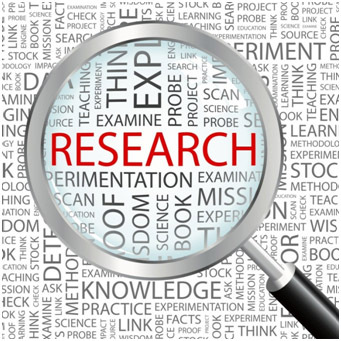 The DMS offers Excellent opportunities for Research, with the help of which the students get expert supervision for conducting value-based research and writing the Research Papers on the practical issues being faced by the corporate and society in general. These papers, in turn, are sent to the National/ International Journals/ Conferences for publication. In order to motivate students in the areas of research, the department organizes number of workshops on the various software’s which help students to excel in their Research ideas. 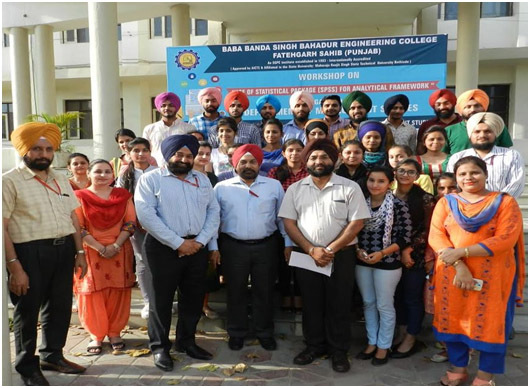 The Department of Management Studies of Baba Banda Singh Bahadur Engineering College, Fatehgarh Sahib has organized a one day workshop on “Use of Statistical Package (SPSS) for Analytical Framework” on 4th April, 2017 in order to provide knowledge to the students regarding the basic concepts of research and application of various statistics through SPSS software. In the present scenario where daily new challenges are being faced by students and researchers, the use of technology in research and introduction of various software for data analysis is very crucial. It is significant to focus on these areas and facilitate research work with proper implementation of statistical tools. The present workshop was conducted in four technical sessions covering the areas related to need and significance of research, hypothesis testing and application of statistical test such as Chi-square, Regression, Discriminant, T-test and ANOVA. 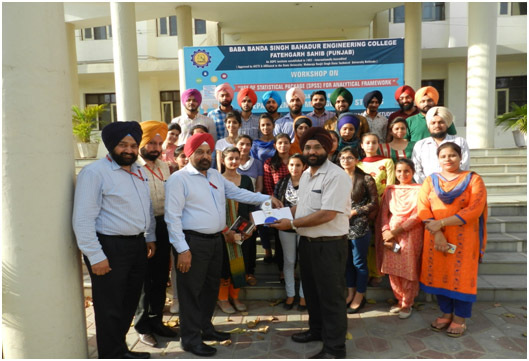 The students gained in-depth understanding of various tools and techniques which will be helpful in improving their analytical skills. We wish to conduct these types of workshops in future to enlarge the horizon of students’ research framework so that in the coming years they might come up with quality research which may lead to the development of society as a whole. 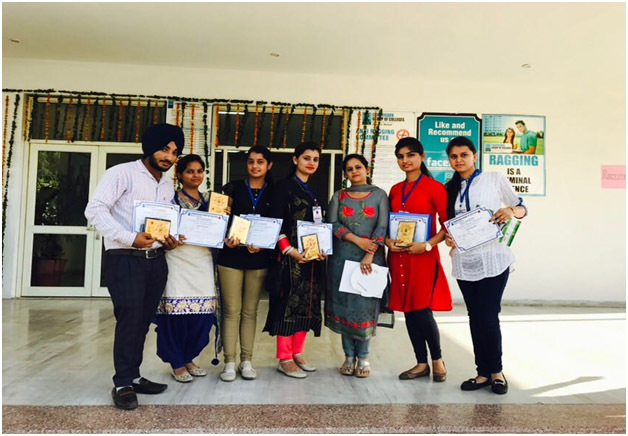 In order to groom the personality of the students and to develop their interest in the area of research, the Department of Management studies of BBSBEC motivated the students to participate in the national conference on 29th March 2017. The theme of the conference was demonetization and its impact on various sectors of Indian Economy and society. This platform provided an opportunity to the students to present the quality papers on such upcoming issues in the society. Six students from the MBA department participated in the same and presented their deep thoughts and insights on the impact of demonetization on employment trends, six sigma practices and real estate business. This forum provided the students to exchange their opinions on the policy reforms in the context of Monetary and fiscal change and contemporary issues of demonetization related to financial Management. The students were highly motivated to attend such conference as it helped them to understand the challenges of engaging the business in the cashless economy. In order to appreciate their piece of research they were presented with the certificates and mementos, so that in future they will enlarge their areas of research with detailed critical analysis, which would improve their creativity analytical thinking and problem solving approach from operational research perspective.